Click on this image to enlarge it. Its goal is to help you create better paintings and avoid recurring stumbling blocks. In this lecture demonstration, I show how generations of masters through the ages have passed their knowledge and experience on to us. Although styles have changed, their advice about design principles is still valid and used today. I have taken most of these tried and true principles and organized them into categories. Next, since artists are visually oriented, I created an instantly recognizable visual symbol for each category. The result? The Building Blocks of Painting! The more you become familiar with them, you will find that they keep you on track during the painting process and help analyze problems in unfinished work. These visual symbols are not “rules” but guidelines based on the experience of those generations of masters in every painting medium and style. Paintings by John Singer Sargent, Mary Cassatt, John Pike, Edgar A. Whitney and artists such as Ron Ranson, Judi Wagner, Frank Webb, Milford Zornes and others, show how these painting and design principles are applied. This DVD disk is yours free of charge with the purchase of another DVD or The Watercolor Fix-it Book. 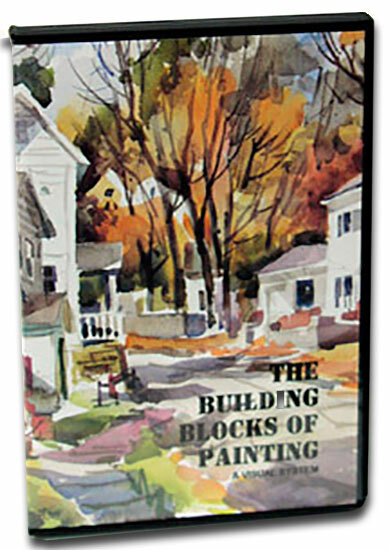 Click on each DVD and BOOK to learn more about my own painting and teaching style. 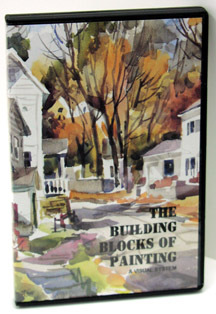 With your FIRST purchase of any DVD or The Watercolor Fix-it Book, the Building Block DVD is included at no charge. © Copyright 2019 Tony van Hasselt. All rights reserved.